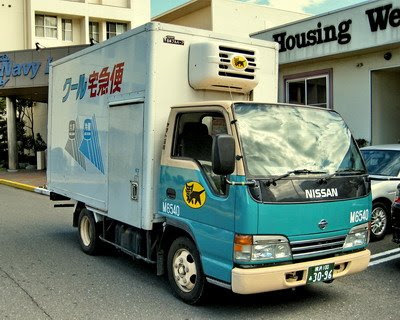 Since we travel all over Japan taking family pictures on bases we need to ship our equipment to our next destination. 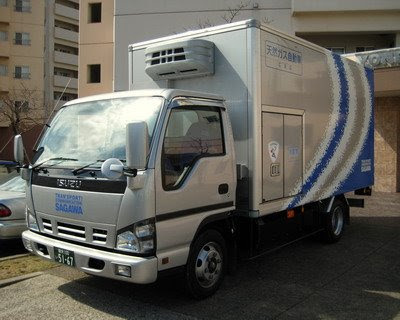 We use two different companies, Yamato and Sagawa. 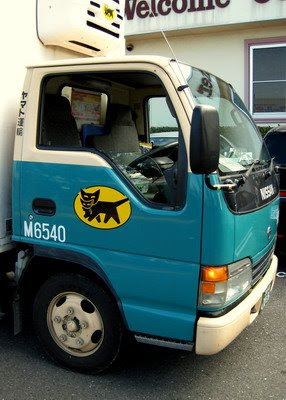 Just about anyone who has been to Japan will recognize the Yamato trucks. Here they are known as Kuro Neko, Black Cat. They probably have one of the most recognized logos in Japan. It's a mother cat carrying its baby. The other is Sagawa. They just recently updated their trucks and logo. 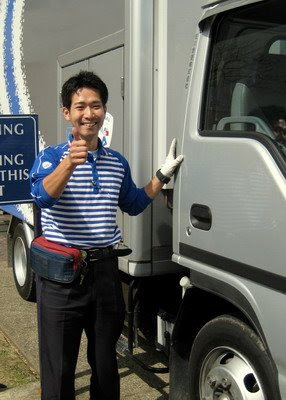 This next picture of the guy who picked up our stuff at Yokosuka Naval Base. He was nice enough to give me a ride to our shoot location from the NEX services building so we could load his truck. Service with a smile. Most Japanese in some sort of customer service position will go out of their way to make the customer happy.